I remember the day I took this picture. I finally got your long hair brushed, trying to remove knots without you crying. It was quite a task! You have grown up to be a beautiful kind girl with a delightful sense of humour. I am so proud of you reading proper young adult books and enjoying them! I hope when I am long gone from this life, that you will remember me as the #bonusmom who encouraged you to read and question. Always be true to yourself and remember that you are an individual with a voice. You have choices as to who you want to be. Use it wisely. It is not easy living in a blended family but it has been a blessing watching you grow up. Thank you for your kindness and the respect and love you have shown me. I am grateful. I’m proud to say that’s our girl! 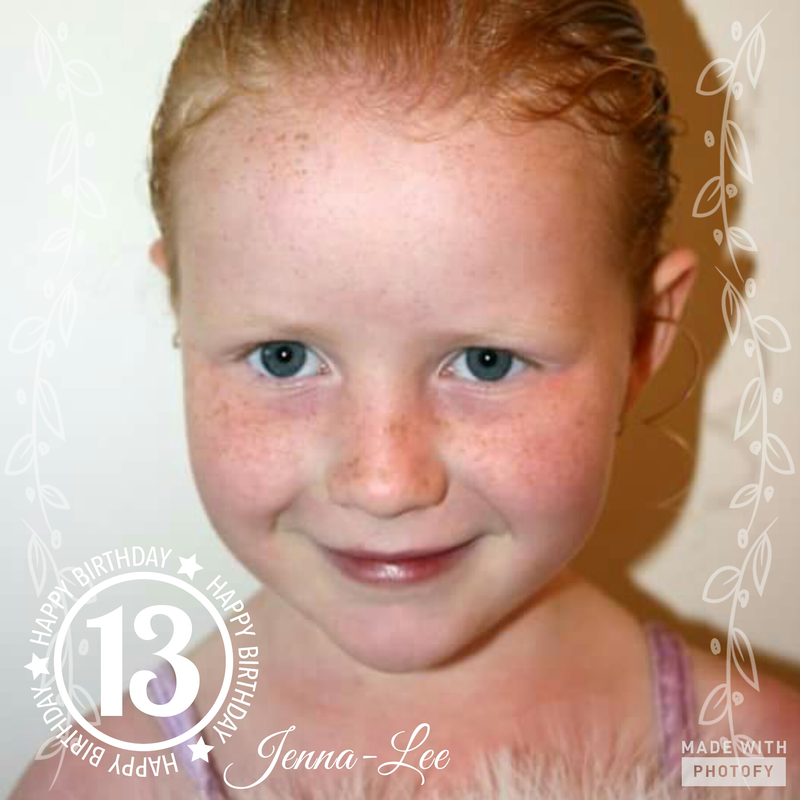 Happy 13th birthday darling Jenna-Lee. May God bless and keep you always. Next Article Amazing Grace how cuddly you are !